Q: I have come up with a way to motivate people to pay their rent on time, and I’m wondering if it’s legal. 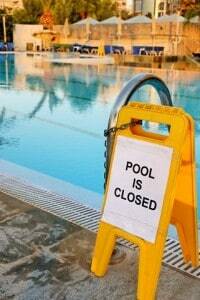 In addition to my late fee, I’d like to say that tenants may not use the laundry facilities or the pool unless they have paid on time. With the summer coming up, this is sure to be an effective motivator. What do you think? –Joe S. A: Undoubtedly you‘re right — faced with the prospect of having to spend their weekends at the Laundromat rather than at the pool party, your tenants might make an extra effort to get the rent in on time. But, your solution, while effective, may not be legal. Landlords in all but 12 states are prohibited from changing tenants’ door locks, shutting off utilities, removing tenants’ property, or otherwise engaging in what’s known as “self-help evictions.” The idea is to force the landlord to use legal eviction procedures rather than resorting to lockouts, theft, and other tactics that can quickly escalate into dangerous and potentially violent encounters. Sharp readers may see the crack in this argument, however: Self-help eviction bans are intended to prevent landlords from bypassing normal eviction procedures. You, on the other hand, don’t want your tardy tenants to leave; your intent is to get them to pay and stay. And besides, you aren’t contemplating anything as drastic as a lock change, utility shutoff, or removal of possessions. You‘re simply denying access to shared, inessential facilities. So the question is this: If you live in a state that forbids self-help evictions, would cutting off access to the pool and laundry area be among the acts forbidden by your statute? The only way to know is to look at the law itself. A quick check of two major states yields some surprising results. In California, a tenant-friendly state, the self-help eviction statute begins like this: “A landlord shall not with intent to terminate the occupancy under any lease or other tenancy …” (California Civil Code Section 789.3(a).) That’s a pretty clear statement that the listed acts are forbidden only when undertaken with the intent to get the tenant to leave. Arguably, your actions don’t fall within the statute because you don’t intend to terminate your tenant’s lease. In Texas, a not-so-tenant-friendly state where landlords may even change locks on tenants who are late on the rent in some situations, the statute doesn’t even discuss the landlord’s intent. They certainly aren’t part of the tenant’s exclusive space, but a judge might conclude that they are part of the rental because the tenant is paying to use them. Finally, in both California and Texas, a big question is whether the statutes’ list of no-nos is exhaustive or merely illustrative. In other words, suppose the landlord takes actions that aren’t specifically mentioned in the statute, like cutting off access to parking. Would these other steps fall within the ban on self-help evictions? Interestingly, neither statute includes the handy legal phrase, “including but not limited to,” which signals that the list isn’t intended to cover every possible prohibited act. If the phrase were there, we’d know that the list is not exhaustive, and that your policy might fall within the statute’s reach. Without this cue, we’re forced back on an age-old rule of legal construction called ejusdem generis (in Latin, of course). This isn’t as hard to understand as it is to say or spell. Under this rule, if a list of specific items ends with a general phrase, the general phrase is interpreted to include only items of the same type as the specific terms that preceded it. Applying this rule to the question at hand may help your cause. The list of prohibited acts in a typical self-help eviction statute consists of acts that are directed at the tenant’s rented space or his possessions. You, on the other hand, are proposing to deny access to a shared common space, which doesn’t involve the tenant’s personal property or ability to use his exclusive rental. In other words, your plan just might work.